Looks awesome! Luckily you have folks in your area that do this! My local dealer offers a similar product, but they are not very good with installation and don't do any paint correction before applying it. I have it on my car, and it's really just a good wax. NFA that looks really good. I have heard of that before a friend in Sydney had it applied (i think it was the same product) and he swears by it. I have never applied a coating / bonding like that on any of my benzes as i always thought they held up pretty good. In the dealerships here they recommend Permagard. Have you heard of that one? Is it different to yours? Do they do your wheels too? Does that help with the brake dust? Thanks, and i really admire the length you went to for perfection. You drive a Benz, and for the 2 blokes to do that work all day, i think it is amazing value. Would you recommend this for a new benz? If I did this, would it protect from the micro scratches at regular car washes? i put it on my car with 3800 miles on it. yes it will protect you from micro abrasions because you will never run it through a manual car wash again only touch less . i love it because i dont want to spend hours cleaning my car. most days i just dust it 5 min . when i do run it through a touch less no wax just the basic 10 min to dry by hand . had the wheels done to no scrubbing break dust. My sales told me that I should only use water to wash the car as it has a ceramic coating. Question to you all it what do you advise to get this cleaned off ? I suspect it is either dried on insect poo or tree sap or some kind of water insoluble deposit. Ok, stop. Your dealer is talking out of his ***. A ceramic coating is just that, a coating that must be cared for or it will take on damage like a clear coat. Think of ceramic as a lifelong wax thats applied so you never have to wax again for UV protection or shine. But you must still take care when washing. It can scratch just like a clear coat! I use a ceramic safe soap in a foam gun sold by chemical guys (check auto geek.com) and use a 3 bucket method. One for wheels and tires only, one with grit guard for bodywork, and a rinse bucket with grit guard. Microfiber mitts ONLY. Never use a automated car wash, even if its touch-less. They use very low quality soaps and degreasers that will break down the ceramic shine over time. The name of the game when washing is to keep the paint lubed with foam/soap, and the less 'on paint' touching time, the better. I foam it down with the foam gun, lightly wash the paint in straight lines only (no swirling motion) from top to bottom with a microfiber mitt, rinse, then a use electric blower to dry (water flies off with the ceramic coating) and then hit the windows with a drying microfiber. If you fail to use a soap then you aren't breaking the surface tension of the water and the contaminants from the air/driving are staying on the paint. Anytime you see a bird dropping or tree sap and you don't have time to wash the car, spot clean immediately with a damp microfiber using very light pressure after dabbing to let the water break it down. Never apply pressure when rubbing or it could scratch the coating. I keep a clean microfiber and new water bottle in the trunk. Now, with that out of the way. Post some high quality photos of your paint condition and I'll try and help to resolve the spots. First I have no clear coat since I have designo matte paint, a true microceramic paint. I don't believe this is true. My understanding is that it is the clear coat itself that gives the matte paint its sheen. The underlying paint is the same. Thanks. I will need to take a few good photos when the weather improves. Unfortunately, the past few days have been raining non-stop - very dark grey skies. However, I have posted two pics from yesterday. Pic 1 was the spot as I had noticed it initially ~ 1.5 to 2mm diameter with a browny shade. When I looked at it from an angle, I could see it is a very very slightly raised surface. The much smaller dots can also be seen at an angle but also face on due to their color. In pic2 taken in the evening after I had another go at gently cleaning the larger spot with a cotton bud with a tiny dab of turtle wax, it is visibly less brown. This morning, in overcast conditions, it took me 30 secs to find the larger spot as the color was/is alot less obvious ~ the gently cleaning I did yesterday apparently made an improvement. As for my "dealer", it was the sales who advised me about only using water, not the "body work" specialist who I did not get an opportunity to meet. It was the sales again who advised using a dab of wax to clean it. Note the bud was a micro bud ~ also 2.5 to 3mm in diameter so the area affected by my cleaning was mainly on the spot itself and not much surrounding surface. Last edited by mister__p; 08-27-2018 at 04:36 AM. 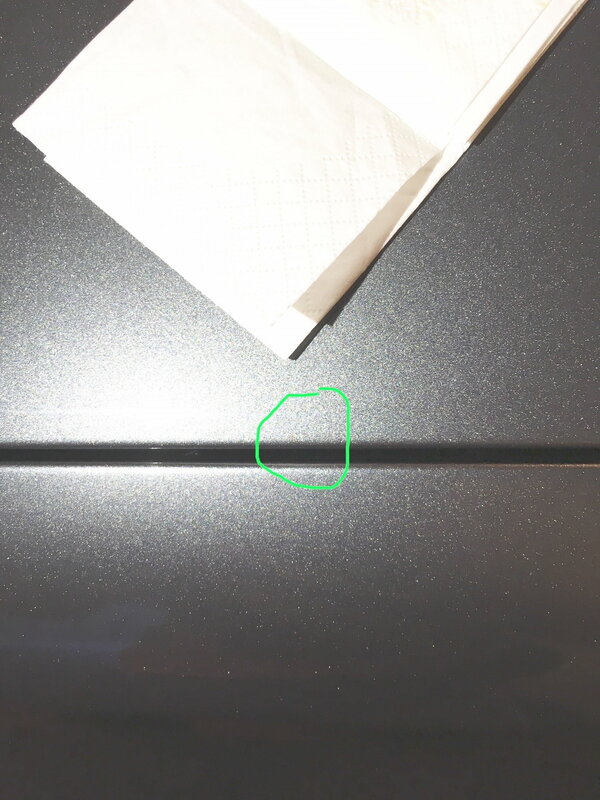 Im going to tag my detailer on this and see if he will shed some light on your paint. One Year update. The coating is still 100% and I'm about to have my newest car in the stable done. Worth every penny for those of you on the fence! Last edited by NFAREVIEW; 01-04-2019 at 11:37 AM. Prices ranged from $1000 to $1500 depending on level of paint correction needed before application and how many ceramic coats you want. I paid $1500. Very helpful advise. I too wish to get ceramic coating professionally applied. At my age, I don't have younger buddies to help me, etc., and is worth it to me to spend the money and have it done right. I'm waiting till spring to have it done (mobile detailing firm and warmer weather), and now feel more confident going forward with this, knowing you guys think it's well worth the investment. 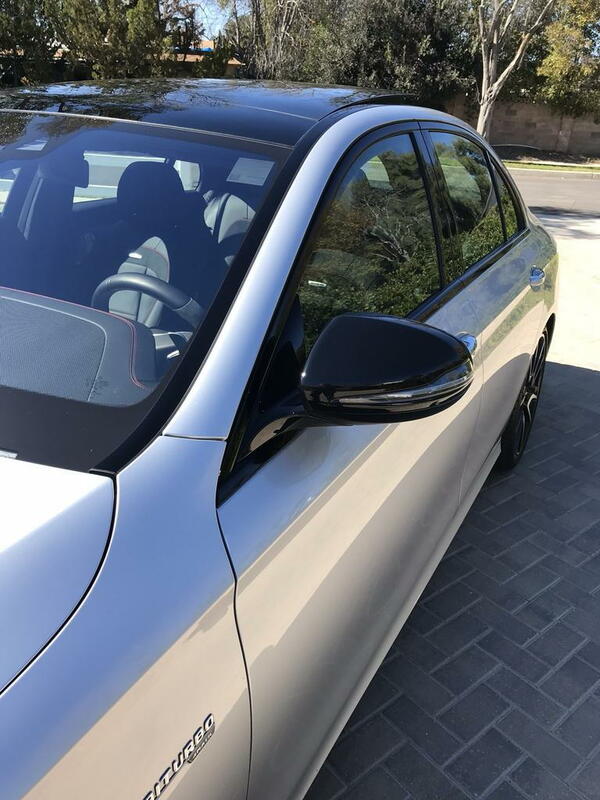 Same here - I had my 2015 C300 done with CQuartz a year ago, in Nov. 2017. Cost me only $315* at Arlington Auto Detailing in Belmont, Mass. That included the wheels, a moderate interior detail, and a return visit 3 moths later for some kind of "sealer." Prep included a clay bar treatment. I live in an elderly housing facility, so my car is not garaged. Enough pollution falls from the sky that I run my windshield washers every time I get underway, even just over night. Now, rain just washes the stuff off. A large bird bombed the roof a couple weeks ago. I forgot about it, and a few days ago, I noticed that it was gone, washed away by rain. I have washed the car ONCE, in an automatic car wash. That was last spring, to wash the winter salt off. It now looks as if it was washed and waxed only a few days ago. The wheels are gloss black with mirror-finish ribs. They look clean too. Not even any build-up of the infamous Mercedes brake dust. (I think MB may also have finally changed brake pad material to reduce that problem.) I may have already saved half the cost of the CQuarz on car washes!. *I just checked-price is now $550 for a car. I highly recommend Craft Detailing in Dedham as a great shop for OptiCoat Pro+. $1399 for complete car+ wheel faces. windows other than the windshield. E450 is my second car done- Golf R prior. The VWVortex forums (which dwarf MBWorld in size & activity) heavily discuss coatings and are solidly in the OptiCoatPro+ camp. Craft did a great job- finish looks perfect. Strangely they had a shop absolutely full of Tesla 3's & seemed thrilled to work on an E450 Wagon. 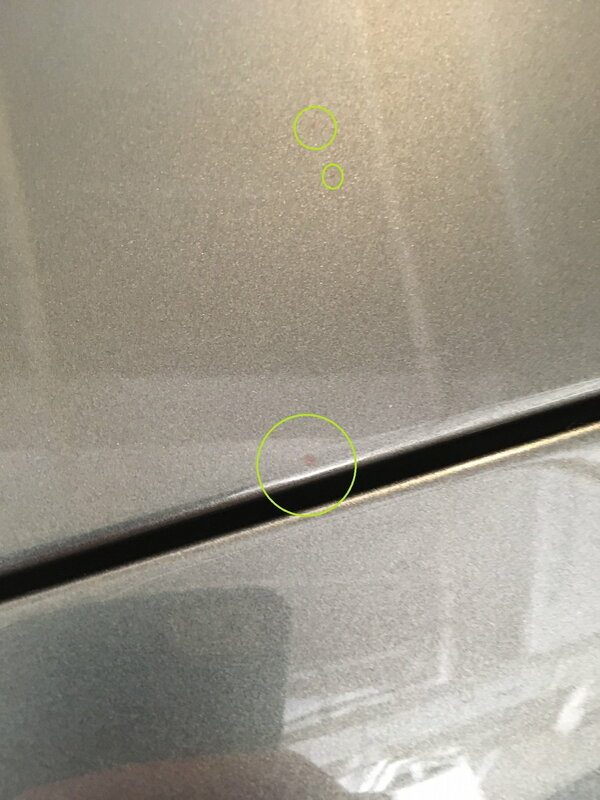 No dealer arrangement with the Tesla's- they said the paint finish on Tesla's is soft and imperfect -usually with swirls from the factory, whereas they said the clearcoats on MB's were notoriously hard & they worry if there is a swirl to correct on a MB it'll be harder to polish before coating the car. They were happy mine was only days old as they said MB & Lexus are by far the best quality control on finishes from the factory. An interesting conversation with a group that just thinks about one specific aspect of a car. 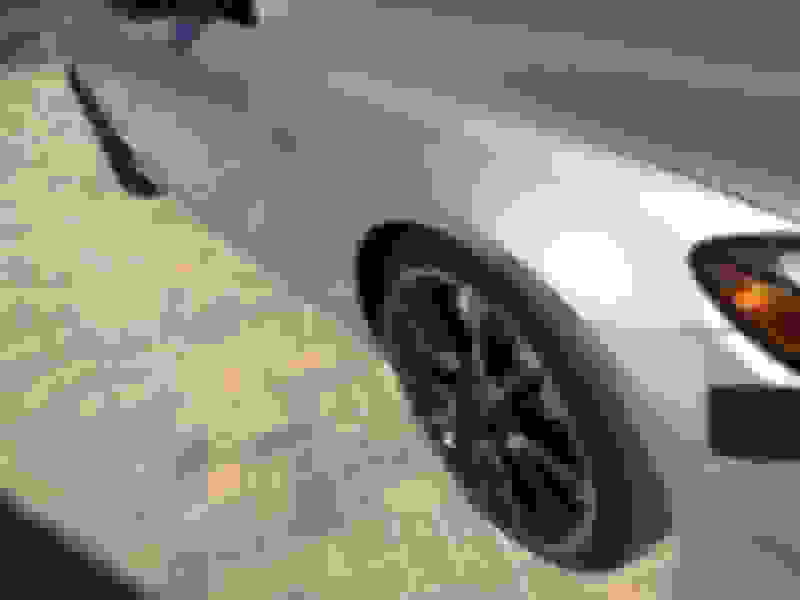 Last edited by jl199986; 01-04-2019 at 09:29 PM. & let's get another few thousand posters on MBWorld! To be precise, the Arlington Auto Detailing CQuartz application price also includes a "G1 ClearVision windshield treatment (A $79 value)." They also have other treatments, but their most expensive treatment is still only $750. Update: I got the CQuartz treatment in 11/17. It is now 15 months and 1 1/2 winters later. I received the "sealant" included in the price about April, My C300 (which is not garaged) still looks as if it was washed and waxed a few days ago. Last edited by gfmohn; 02-21-2019 at 10:52 AM. We'll get those when Mercedes sells a couple million more passenger vehicles a year. But then, we wouldn't have our lovely exclusivity (and Mercedes wouldn't be able to charge what I estimate to be $10,000 for the star on the hood). 2017 C43 Sedan and 2018 E300 Sedan. 2015 S550 gone. Thank you. A perfect reply to the several buzzkills in this thread. Really dudes..............just congratulate the man and move on for Odin's sake! WTF? I thought I was providing information on where MB owners in the Boston area could get a good deal. If I was just blowing my own horn, I wouldn't have provided the name and address of the shop. See my correction to my originial comment above. Arlington Auto Detailing's most expensive treatment with CQuartz is still only $550. 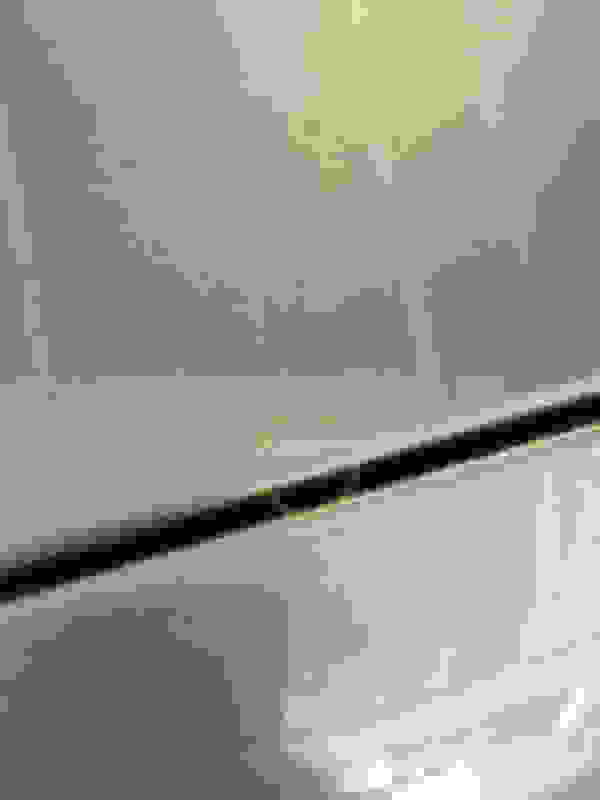 Last edited by gfmohn; 02-21-2019 at 10:56 AM. It looks fantastic...they did a great job. The only thing I would say - and this is not intended to start any argument -is that any claims made of helping to prevent rock chips are unrealistic. A ceramic coating, no matter how many layers (not that anything beyond 3 has any effect) will not offer any protection in this way. The only viable option really is PPF. But I do understand the reasoning. If its a comparison protection wise vs a wax its a night and day thing. Funny you compare my paint to yours when yours is a matte and I have to protect mine a certain way, as do you. It's apples and oranges. I can say this, in 5-6 years I bet $100 our car is rock chip free and still has paint in the same shape as the day we took delivery. Yours on the other hand does not age well on the highway. And the fact you think a Meguires spray wax is the same product as a 9H ceramic tells me all I need to know about your automotive detailing knowledge lol. I see you have an affinity for tracking down my posts just to **** on them. Whether it's guns or wax you just can't help yourself. I know you're into me, but I don't swing that way dude. Lay off, it's unhealthy. Had mine done a couple of weeks ago. I was traveling on business and left the car for 3 1/2 days so the guy could do his magic. Did the paint, glass and wheels. It worked out perfectly....7 days to cure then a solid 10 days of rain. Then I drove down to Palm Springs this weekend to visit my Dad and we are in the throws of a "butterfly invasion" (seriously) and by the time I got home the car was covered in rain related road filth and about 50 splattered butterfly carcasses. I dropped it off at the detail guy at work today for its first cleaning and it looks brand new. The shine and depth is amazing. The iPhone pics might not catch it all but you get the idea. It works especially well on the gloss black Night Package parts, they come back nice and glossy. Well worth it so far!! Carbibles.com has a current (03/19) review of The Best Coating For Cars. They reviewed 11 finishes. You will be glad to know that Avalon King Armor Shield IX DIY Kit was rated "Best Choice." I have never heard of Carbibles; their website does not even identify which country they are in.